What’s next? I’ve already started taking more courses! I’m currently working on the Processing Real-Time Data Streams in Azure course – which is an elective in the Big Data Professional Program that I did not take. Frank took it, and while Frank and I were working on the capstone project he whipped up an Azure Event Hub demo and… I was hooked. I signed up before we completed the capstone, even! One note – and this is just my opinion – I think the Big Data program is misnamed. It should be called the Data Engineering program. So much of what I do day in and day out to integrate (or engineer) data is included in the training. If you’re working with SSIS today and want to learn other data integration / engineering platforms, this is the program for you. 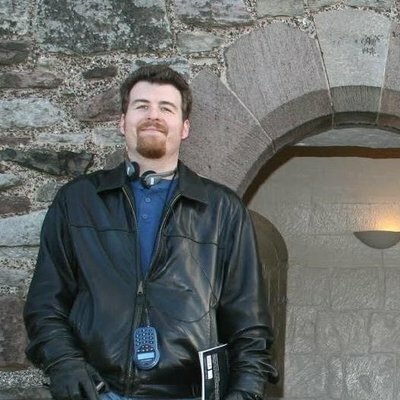 I’m excited to announce that I’ve completed – with help from my friend and brother and co-host of the Data Driven podcast, Frank La Vigne (Blog | @Tableteer) – the Microsoft Big Data Professional Program Capstone project! 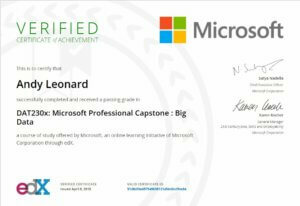 The capstone is the last course requirement (of 10 courses) to complete the Microsoft Professional Program in Big Data. The official Professional Program certificate won’t be available until next month, but I’m excited to complete both the capstone and the professional program. Although there was some data analysis included in the courses and capstone, I found a lot of data engineering was covered in the curriculum. For people wanting to learn more about Azure offerings for data engineering – including HDInsight, Spark, Storm, and Azure Data Factory – I highly recommend the program. You can audit the courses, gain the same knowledge, and pass the same tests Frank and I passed – and even participate in a similar capstone project – all for free. You only have to pay to receive a certificate. 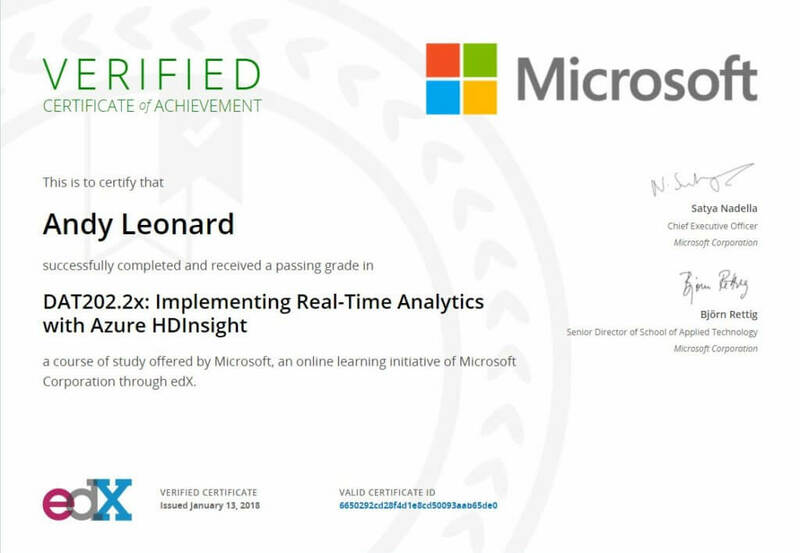 I learned a lot completing Implementing Real-Time Analytics with Azure HDInsight. 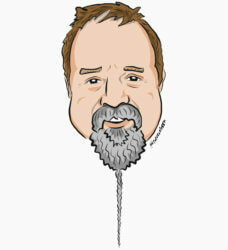 It’s the most fun Microsoft Virtual Academy / edX course I’ve taken to date! 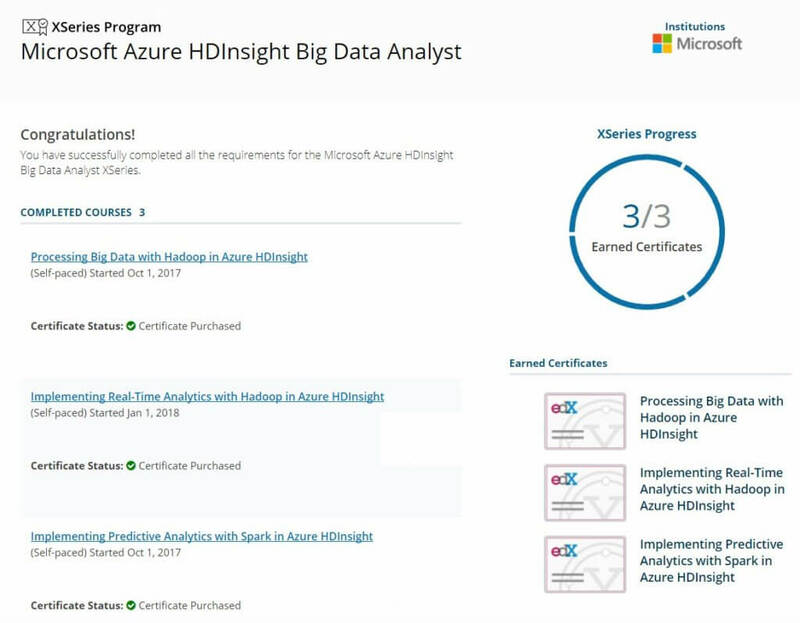 In completing this course, I finished the requirements for the Microsoft Azure HDInsight Big Data Analyst program. I completed Implementing Predictive Analytics with Spark in Azure HDInsight and Processing Big Data with Hadoop in Azure HDInsight late last year. I started the Microsoft Professional Program in Data Science early last year, but I’m only a few courses into it. Anything worth starting is worth finishing. I really got a lot out of the Big Data Analyst XSeries program. 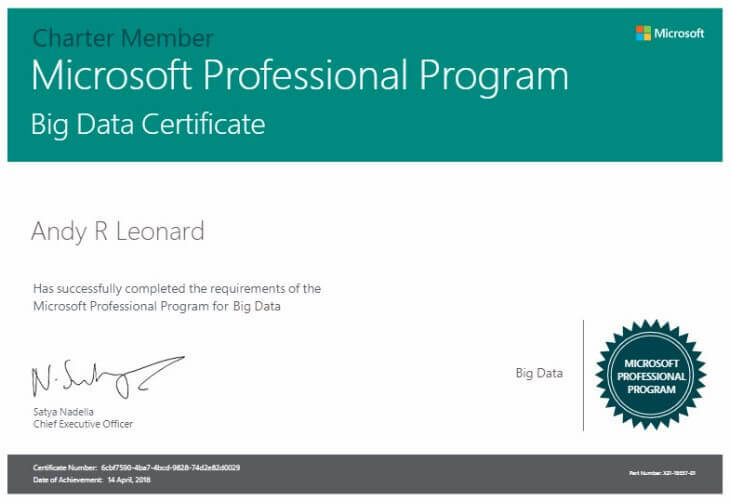 I’m eyeing the Microsoft Professional Program in Big Data program. I’ve already completed some of the courses as part of the Data Science program and the Big Data XSeries program. Some that I haven’t completed look very interesting – like Processing Big Data with Azure Data Lake Analytics, Orchestrating Big Data with Azure Data Factory, and Analyzing Big Data with Microsoft R Server.